…Learning how to assemble exploration vehicles at the ISS would also be part of this new vision. If humans ever do go to asteroids or Mars, the scale of the infrastructure needed to complete a safe round trip could not possibly be launched on a single rocket from Earth. It will have to be sent up on multiple flights and joined together in orbit. Doing this assembly at the ISS means it can be overseen by astronauts with ready access to tools if needed. And if the crew assigned to man the deep-space mission travels up separately to the station, it would also mean all the elements for their long-duration flight could be launched without the complications of ultra-safe abort systems that complicate manned rockets. The crew could instead ride to orbit in a simple, tried and tested rocket, such as a Soyuz, and then transfer across to their deep-space vehicle already waiting for them at the ISS. The only problem with this is that it doesn’t address the issue of how to get back to the ISS orbit from deep space. As I said at Space Access in April, I view this as one of the fundamental problems of decoupling earth-LEO from pure space transportation. The solution will lie in either aerobraking, or cheap propellant, or some combination of the two. But it’s nice to see people starting to think about how to make progress without waiting for a heavy lifter that will never arrive. It’s not the lack of heavy lift that has trapped us in LEO for decades. It’s the false perception that we need it. Would shifting the ISS orbit higher (now that it doesn’t need to be shuttle-reachable) be of any use here? Not much, unless it’s a lot higher. L-1 or L-2 are much better portals to the rest of the solar system. Here’s a question — how big a launcher would it take for a direct inject of a capsule (Dragon or CST class) to L-1? The idea here would be to have a propellant depot in LEO that could deliver the propellant to L-1 by a slow ship, with a crew system to get people to/from L-1 quickly. Eventually, perhaps, the propellant could come from the moon. An alternative would be to depart to L-1 from the ISS, but not return to it from there, instead going directly back to earth. That way, you’d have a good staging area that was also relatively easy to get back to, and allow multiple expeditions without having to enter the atmosphere. I view this as one of the fundamental problems of decoupling earth-LEO from pure space transportation. The solution will lie in either aerobraking, or cheap propellant, or some combination of the two. A solar electric propulsion stage would be one concept to transport propellant to L1. The mission would be very similar to the one described in “A Solar Electric Propulsion Cargo Vehicle to Support NASA Lunar Exploration Program.” When that was written I thought it was a bad idea because the solar array (cost and size) problems were insurmountable. ISS uses 14% efficient arrays and generates about 256kW. Current high efficiency arrays, 30+% efficient are just too expensive, but there are arrays becoming available at 20+% efficiency and less than 1/4 the cost of ISS arrays, so maybe SEP isn’t such a bad idea after all. NASA is considering a 30kW demonstration mission and that’s probably a good first step. Dumb question of the day: are you referring to Earth-Moon L1/L2 or Earth-Sun L1/L2? A solar electric propulsion stage would be one concept to transport propellant to L1. Nuclear electric would be better, if you could get it to fly politically. That way you’d also have enough power to keep things chilled, and maybe even do some hydrolysis (it would be nice if you could just deliver water to orbit instead of propellants). You don’t have to return to ISS orbit from beyond LEO. I’m not even sure what would be gained for stopping there on the way back. Maybe some reuse, but who would want to build that much robustness in a vehicle to travel to Mars and back and do it again? Sure a couple of decades from now, that might be great, but by then we won’t be talking about ISS. This fascination with Lagrange points makes no sense to me although not quite the distraction of waiting for heavy lift. Only L4 and L5 are stable and nobody is proposing using those. It’s a distraction. Orbit above the atmosphere is stable even if not a point. Where ever we go starts from orbit. Going to a Lagrange point uses extra fuel and time for no reason. Also, let’s call it a ship. Boats and craft are launched from ships. Dragon is a craft that you would launch from a ship or station. It’s good to see someone put in print the obvious; we can transfer to a ship to go where ever. We could use aerobraking but if we solve the fuel issue it’s not essential. Fuel stops are the infrastructure we need and also has the potential of economic growth for private entities. Aerobraking is a purely economic decision after we solve the refueling issue. First we need a ship in orbit. The only thing preventing us from moving forward there is the realization that we already have had the parts in orbit. Any upper stage of any rocket with a restartable engine is a potential component. Any Bigelow habitat is a potential component. We need additional fuel tanks to gravity feed the tanks of whatever upper stage we use. We could do this all today. Once you have the ship in orbit then fueling it becomes the obvious issue… even to geniuses at NASA. One important advantage of Lagrange points is that they are the cheapest to reach orbits beyond LEO, cheaper than lunar orbit or GEO. They make for ideal refueling points. This allows you to avoid the need for a large upper stage. With refueling in LEO a large upper stage isn’t a problem, since it could still be launched without heavy lift, but using Lagrange points as intermediate staging points allows us to start sooner. There’s a long list of other nice properties to: no nodal regression, the possibility of propulsive return (reusable MTVs! ), better thermal environment, crossroads on the interplanetary super highway of low energy trajectories, less thrust requirements for EDS engines etc etc. how big a launcher would it take for a direct inject of a capsule (Dragon or CST class) to L-1? Roughly three times the mass of the capsule: 1.5 times the mass for L1/L2 insertion and deorbit (assuming hypergolics) and 2 times the 1.5 times for the departure burn, assuming LOX/LH2. For Orion you would need roughly 50mT, or EELV Phase 1 or slightly bigger. This is what I wanted back when I was in favour of J-130 + DCSS. But why not use EOR with a separately launched upper stage? The ISS makes for an ideal staging point and crew inside it will not “boil off”. Launch crew first and the EDS second. That’s definitely a better solution if no existing vehicle would do the job. Particularly if you have depot capability at ISS. A Delta Heavy should be able to do the job. I’m not sure which scenario I prefer, both have advantages. Stopping at the ISS makes the ISS more useful and expands the possibilities for commercial crew. If we’re stuck with an SDLV then Orion on a J-130 + DCSS will do, provided propellant transfer and reusable vehicles are used from L1/L2 onward. L1/L2 and hypergolic propellant transfer are nearly as good and LEO + cryogenic propellant transfer, so we could start straight away. But the SDLV crowd are opposed to this as it makes their launcher too obviously superfluous. Let’s be technically correct. A fully fueled ship starting at a lagrange point gives the best leverage for it’s delta V. But delta V, for a given specific impulse, is just a question of how much fuel you start with which is not really a fixed value; within some constraints you can add fuel tanks to reach the level of delta you need. We do not yet know what the cheapest alternative will be. We need practical experience to determine that. An issue we do need to answer up front is which fuel? Hydrogen/Lox: 450s, but difficult long term storage. Methane/Lox: 300s, easy long term storage. Methane with 10x ship mass of fuel gives you 7.15 delta V. Good enough for now (although kerosene is the fuel currently in use.) So we use kerosene now and transition to whatever as economic incentives drive us there. Sitting on our hands is not moving us forward. SpaceX pointed out that the fueling process has become much easier with experience. We need to get experience working for us and now is the time. Waiting around looking at each other isn’t accomplishing anything. If we want to use existing stages, then it is important to make everything fit on such a stage. If we want to launch those stages without refueling (say because we want to use cryogenic ones and we don’t want to wait for cryogenic depots), then the size becomes doubly important. Choosing the lowest delta-v destination beyond LEO as a staging/marshalling/rendez-vous point maximises the sizes of the payloads we can manage. And note that Lagrange points are not a replacement for depots, they simply allow us to start sooner, with just hypergolics. On top of all their other advantages. 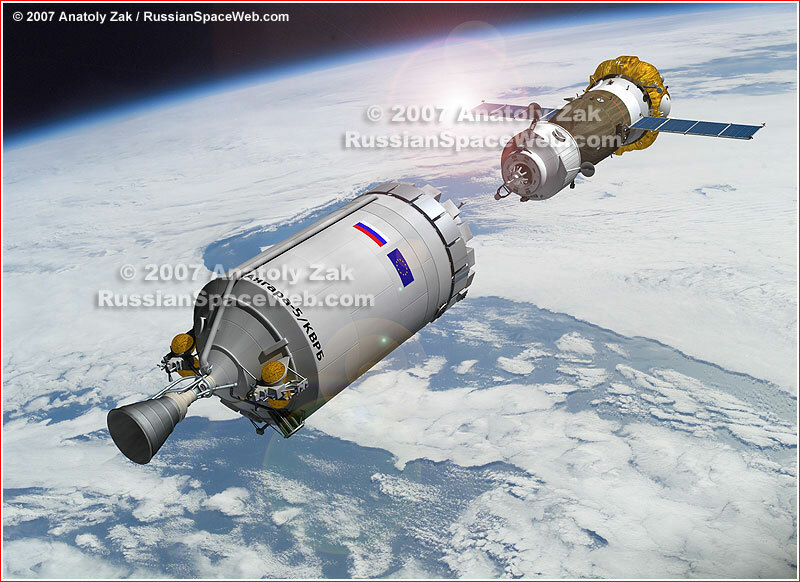 Right now we have Centaur and DCSS as existing upper stages. These are fine for getting dry spacecraft and crew to L1/L2, but not to anything beyond that. To go beyond that without stopping (and probably refueling) at L1/L2, we’d need larger stages and without refueling we’d also need HLVs. Lagrange points really are important, even if there’s nothing there. This allows you to avoid the need for a large upper stage. My personal definition of ship has no staging. You don’t leave pieces behind any more than you leave pieces of your car behind when you head off to work. Economy and simplicity will happen when we can have the lowest delta V requirement because we have refueling points all along a route. Until then we need about 10x ship mass of fuel more or less to have a reasonable range. This will get you as far a mars, but will require refueling there to get you back home (another reason to choose methane.) To not require refueling will require more than chemical engines but nuclear is not required to make progress now. We should not wait. If we want to use existing stages, then it is important to make everything fit on such a stage. Except that existing stages are not suitable even for a trip around the moon. You can do it, but it’s not the way you want to travel. So that means putting together a ship together in orbit. Until Bigelow gets some competition, his modules seem the best starting point for a ship. Merlin seems the best engine (I’m not an expert, perhaps another is better?) For sanity on long term trips, internal volume is a must. …and keeping cost down by the ship being as small as possible, yes Lagrange provides an advantage. Fuel is your main cost (other costs are nothing in comparison. Development cost doesn’t count due to the high level of stupidity involved.) It’s cheaper to put fuel in orbit than to Lagrange. So it’s a trade off. Where do you put the ship together? Orbit is again cheaper than Lagrange. So really, all we’re talking about is refueling at Lagrange. Perhaps you’re right and that the best place economically, but it’s not the slam dunk some might consider. The real question is are the constraints from orbit open enough? The answer is a definite yes. Lagrange is still an distraction short term, although mid term it may make sense for the reasons you gave. Except that existing stages are not suitable even for a trip around the moon. You can do it, but it’s not the way you want to travel. Why not? Here’s one scenario. A commercial launcher launches a beyond LEO capsule (preferably derived from a LEO taxi) to the ISS. The crew either travels on that capsule, or else on a LEO taxi. Once at the ISS they wait for a separately launched EDS. Once it’s in orbit, they get into the capsule, undock from the ISS and dock to the EDS. Then they depart for L1/L2. After the departure burn they separate from the EDS. The capsule inserts itself into orbit once it reaches L1/L2. Once there, it docks with a prepositioned and prefueled lander. The crew transfers to the lander and undocks from the capsule. Then the crew lands on the moon, does its thing and returns to L1/L2. There it docks with the capsule, the crew transfers into the capsule, undocks from the lander and returns to Earth. The lander stays at L1/L2 where it is refueled and perhaps refurbished. Apart from the fact that the EDS does not need to refuel in LEO under this scenario this looks like a perfectly decent long term scenario and refueling in LEO would be a seamless upgrade. And note that we could do all that with existing technology, and existing launchers, and create a market for RLVs, SEP tugs and cryogenic depots in the process. Just to emphasize my point. A ship designed to go from earth orbit to mars orbit can also go to Lagrange, so you don’t lose anything. OTOH, if you design a smaller ship to go from Lagrange to mars orbit you save some cost and lose a lot of capability at a time when you don’t know what you may want to do with the ship. Well, once you have a manned SSTO RLV you can pretty much go anywhere you want in cis-lunar space and a bit beyond. But do we really want to wait for that? I think the fastest way to get to there is to go beyond LEO as soon as possible with existing technologies. The separation between (extraterrestrial) landers and LEO taxis seems like a desirable one to me, even in the long run, especially if we want to make LEO transport affordable for ordinary citizens. In that case you have to choose a staging point. LEO and L1/L2 are obvious candidates. Just using LEO instead of both is more technologically demanding and less propellant efficient, but perhaps more elegant in some respects. But for Mars missions L1/L2 remains a very useful staging point. That’s with storable propellants, and matches the Dragon as it is currently configured for cargo. If you can do some or all of the burn into EML-1 with the F9H upper stage then you can get more cargo mass. For a few days you can do it. The more people, the more room you will want. You don’t want it to be a miserable trip (how could it be? You’re going around the moon!) Because you’d understand the difference between 10 m^3 and 330 m^3 once experienced. I think the fastest way to get to there is to go beyond LEO as soon as possible with existing technologies. Absolutely agree. Let’s call Dragonlab existing (soon.) But then what? Add one or more BA330 and fuel tanks and you have an answer. Looking at the Soyuz Bill, the Dragon is three in one, Draco thrusters make it a tug, PicoX make it a descent vehicle and it’s about large enough to be a limited habitat module. Any of the above will work. The key point is that doing a mission from earth means every ounce counts. every gram matters. Apollo took the biggest rocket they could build and even then the mission was calculated to the last drop of fuel, the last breath of air. If you can refuel along the way your vehicle doesn’t need to be optimised. A BA330 becomes the perfect space craft. Not because it’s mass optimised. It’s not. But it gives you heaps of leg room. Space to pack lunch, and your exercise bike. Push it along with a Aces, or Raptor and you can go just about anywhere in the Earth Moon Mars systems. And just keep reusing the same vehicle. So long as you have fuel depots. Slightly off topic, but not really. Have you noticed how 2010 is turning into a real watershed year? Just the other day first flight of SS2. Due next month first flight of Dragon. Armadillo and Masden start moving beyond just building vehicles and start reaching for altitude. Coming soon: end of shuttle. And now we have the space agencies starting to put behind them the mantra of “we gotta have heavy lift” and starting to look for alternatives. Ken, I have high hopes for Dragon, especially if it gets a lunar return capable heat shield. Elon says it’s a mars return heat shield. It looks like an amazing machine. The Apollo LM was *not* optimized by any stretch of the imagination. They were insanely paranoid about margin. The LM was also pressure fed, whereas the others are pump-fed. Pump-fed hypergolics allow for good mass fractions and pretty decent (340s) Isp. Actually, if the orbit of the ISS were raised to about 600 miles, then its orbital erosion would greatly reduce and the need for continuing propellant supply would drop to levels that the planned VX-200 VASIMR thruster could provide 100% of the stationkeeping duties. ISS would remain within the protection of earths magnetosphere so no additional radiation protection would be needed. So if they put legs on a Dragon as planned, is it a lunar lander? But for Mars missions L1/L2 remains a very useful staging point. We assume you want to come back. Without aerobraking this means more fuel and tankage beyond what’s needed for an L1/L2 departure. Assume we send fuel to mars orbit from earth. We send it slow so mars can capture it without a second burn. Unless we intend to send two big tanks rather than many smaller ones, L1/L2 again becomes a distraction. The point is L1/L2 are obviously useful, but they add to requirements (a LEO/Lagrange fuel transfer craft, etc.) and we need experience more than anything else so we shouldn’t wait for a theoretical best solution. For safety, we send more fuel to mars orbit than needed for the return trip (even if we know enough is waiting, we don’t know if some may be lost while the ship is heading toward them.) Before that, we need lots of practice in earth orbit, getting experience capturing similar tanks so we are confident it will not be a problem once around mars. This general purpose ship has practical value for a lunar mission as well. Assume we have a lunar lander. It only has to make shorter trips to the ship waiting in lunar orbit to refuel and resupply. This allows for a more robust presence on the moon with quicker turn around. 30+ long range round trips are avoided this way. I have more questions… but I am trying to limit my posts here. Of course, the Apollo SM made the LM look optimized.. which makes me giggle every time I hear the Orion guys brag about how slightly better than the CSM they are.